I caught up on my favourite blogs this afternoon and discovered that my mum had nominated me for a "Brilliante Weblog" award! Thanks mum! 1.) 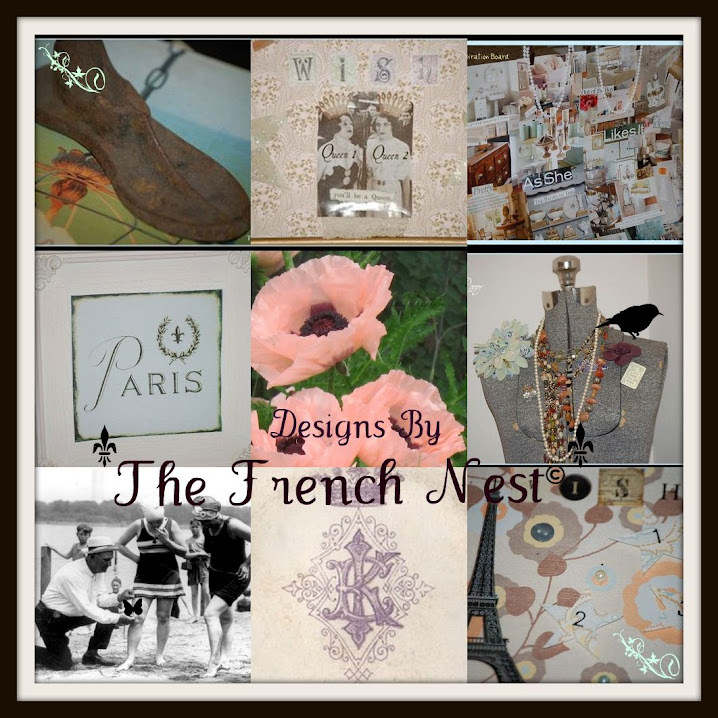 Rosemary at Roses Petite Maison - You will love Rosemary's creative endeavours and fabulous vintage finds! 2.) Jeanne at Jeanne's Bliss Blog - Jeanne's positive attitude is infectious and inspirational. If ever you need a boost in your day, you are sure to find it here! 3.) Nita at Red Tin Heart - Nita writes from the heart and her inspirational words are heartfelt. 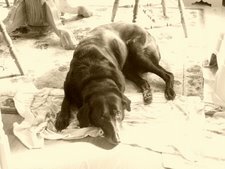 She reminds us to live each day to its fullest. 4.) 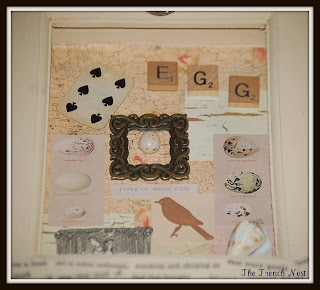 Susie at Bienvenue - Susie's creations are not only French and fabulous, but her blog is too! Don't forget to visit her Etsy shop and see all of her wonderful designs! 5.) 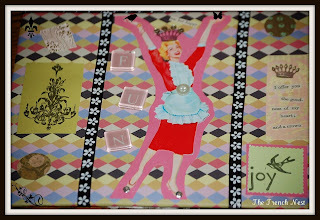 Fifi at Fifi Flowers Decor - Fifi's blog is bright and cheerful! Wonderful artwork and stories to accompany them. 6.) 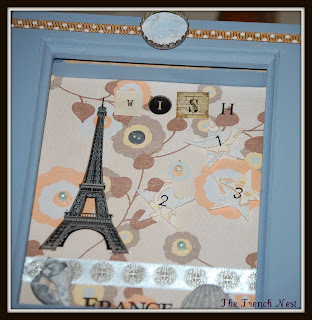 Kathy at French Pedestals and Dreams - Kathy is a treasure hunter...you are sure to love her unique ideas and fabulous finds which she turns from drab to fab! 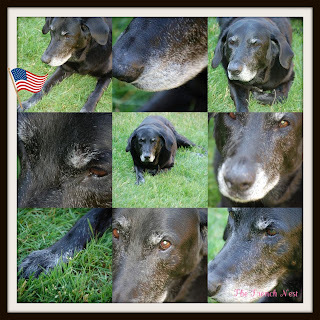 I spent the afternoon taking pictures of my gorgeous Black lab, Ben and can you blame me? Look at that beautiful white beard, those soulful brown eyes and those devilishly handsome good looks! Thank you Ben, for being such a wonderful model! And, as you can see from the American flag in his hand, Benny would like to wish all of you wonderful bloggers a very safe and fun 4th of July holiday! We hope you are having lots of fun and enjoying the company of friends and family today! 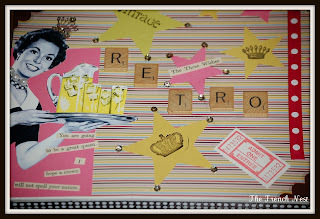 I decided to go with a "retro chic" look and took black and white polka dot ribbon, pink card stock, stamps, vintage pictures from TIME Magazines (circa 1964), scrabble tiles and of course, some glitz, care of some sequins and glitter. I also came across two shadow boxes...I'll post those tomorrow!